with so much right here... you may never want to leave! Spring is here at the Cape Codder Resort & Spa! Our courtyard is springing to life with blooms and fun. 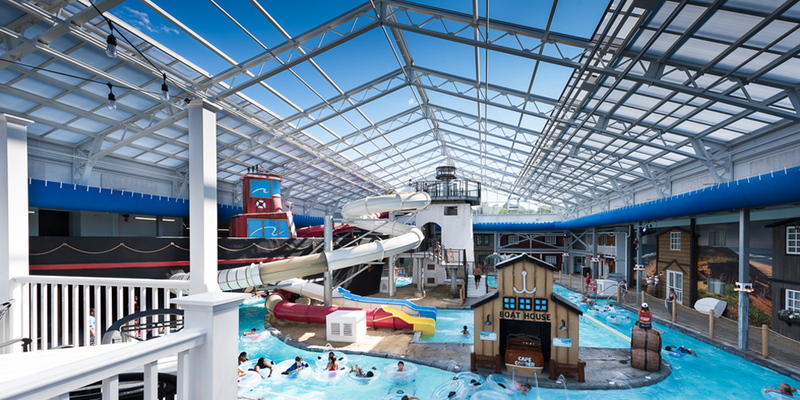 The warmer days mean the roof of the Water Park is opened to let in the sun! 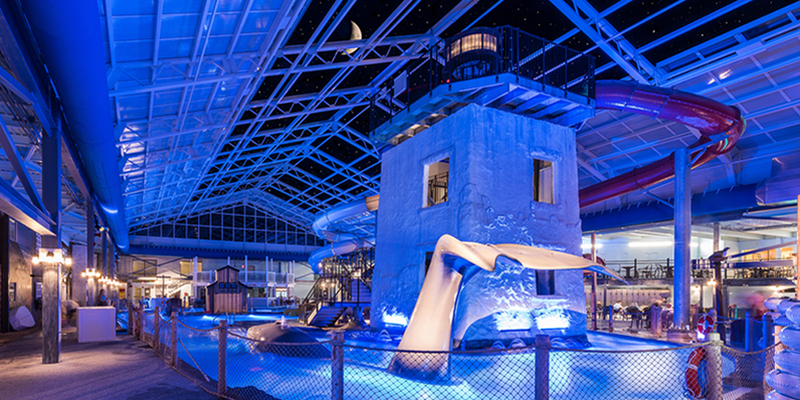 Climb to the top of our 3-story Water Park lighthouse and zip down the stars and stripes water slides. Splash in the spouting whale while riding the stormy river. 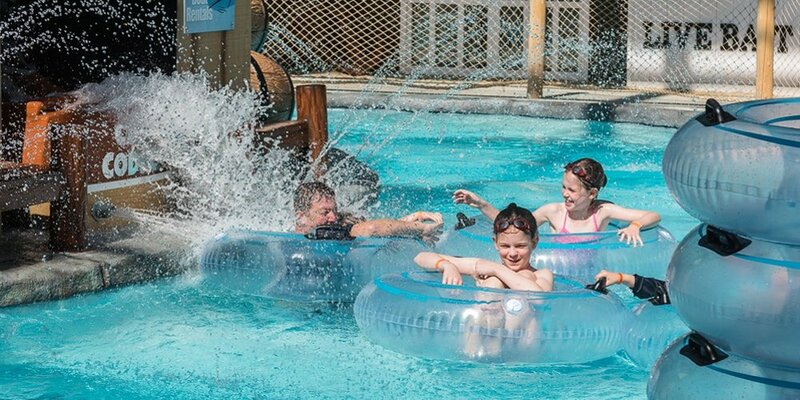 Little ones will squeal in delight in the Pirate Cove Kiddie Play Pool! And all of this is yours, rain or shine, hot or cold, day or night! Enjoy a colorful swim in our Rainbow Falls heated outdoor pool. The Grand Cru’s new Italian menu is receiving rave reviews, the drinks are always refreshing and the entertainment renowned! With spring comes fun-filled packages such as our Easter Overnight Package complete with Bunny Hop Dance Party and Easter Egg Hunt; our Mother’s Day Overnight Package - the perfect gift for Mom to relax as she so deserves and our acclaimed Wizards & Wands Weekend is here in mid-May - a spellbinding weekend of magical fun! With so much going on…you may never want to leave! 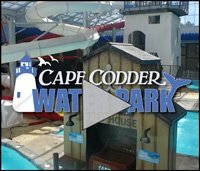 The Cape Codder Water Park is Now Open! 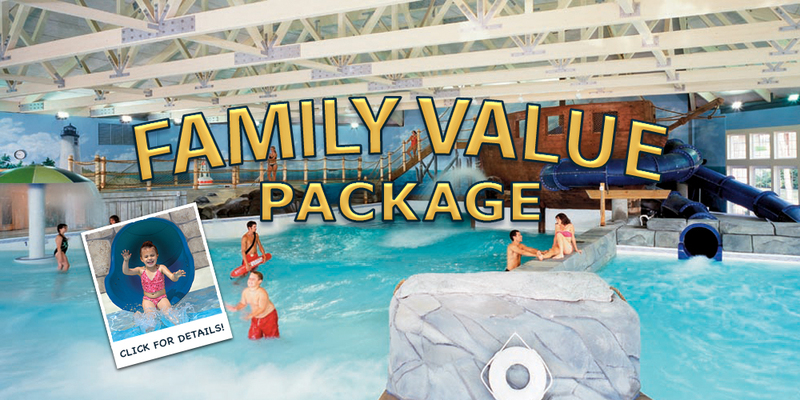 The Cape Codder Resort & Spa offers comfortable Cape Cod lodging, romantic dining and family fun in our amazing Indoor Water Park and Heated Outdoor Pool. We offer hotel packages throughout the year and accommodate groups for functions, meetings or reunions. The Cape Codder Resort & Spa can also assist in planning your wedding reception on Cape Cod in our JFK Ballroom and we can pamper you in the full-service Beach Plum Spa. The Catania Hospitality Group, the parent company of the Cape Codder Resort & Spa, has been a well-respected, family-owned company for over 40 years. Starting as a single Hearth ‘n Kettle Restaurant by VJ Catania, his legacy lives on through his children and grandchildren. We are well-known in our community, a part of the history of Cape Cod and have a long-standing reputation to uphold. Not limited by hotel chain policies, we are able to set our standards higher and are proud to share some of those policies with you here. Escape for your vacation on the Cape with us and you may never want to leave…for travel tips and ideas see our Family Fun Vacation Blog.